Ronald O’Rourke, “China Naval Modernization: Implications for U.S. Navy Capabilities—Background and Issues for Congress,” Congressional Research Service, 23 December 2010. The question of how the United States should respond to China’s military modernization effort, including its naval modernization effort, has emerged as a key issue in U.S. defense planning. Admiral Michael Mullen, the Chairman of the Joints Chiefs of Staff, stated in June 2010 that “I have moved from being curious to being genuinely concerned” about China’s military programs. The question of how the United States should respond to China’s military modernization effort is of particular importance to the U.S. Navy, because many U.S. military programs for countering improved Chinese military forces would fall within the Navy’s budget. Decisions that Congress and the executive branch make regarding U.S. Navy programs for countering improved Chinese maritime military capabilities could affect the likelihood or possible outcome of a potential U.S.-Chinese military conflict in the Pacific over Taiwan or some other issue. Some observers consider such a conflict to be very unlikely, in part because of significant U.S.-Chinese economic linkages and the tremendous damage that such a conflict could cause on both sides. In the absence of such a conflict, however, the U.S.-Chinese military balance in the Pacific could nevertheless influence day-to-day choices made by other Pacific countries, including choices on whether to align their policies more closely with China or the United States. In this sense, decisions that Congress and the executive branch make regarding U.S. Navy programs for countering improved Chinese maritime military forces could influence the political evolution of the Pacific, which in turn could affect the ability of the United States to pursue goals relating to various policy issues, both in the Pacific and elsewhere. 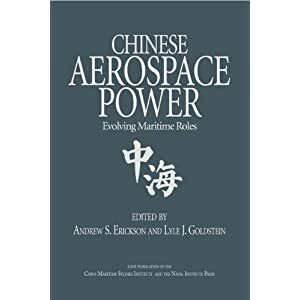 China’s naval modernization effort, which began in the 1990s, encompasses a broad array of weapon acquisition programs, including anti-ship ballistic missiles (ASBMs), submarines, and surface ships. 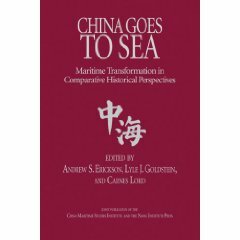 China’s naval modernization effort also includes reforms and improvements in maintenance and logistics, naval doctrine, personnel quality, education, training, and exercises. The Department of Defense (DOD) and other observers believe that the near-term focus of China’s military modernization effort has been to develop military options for addressing the situation with Taiwan. 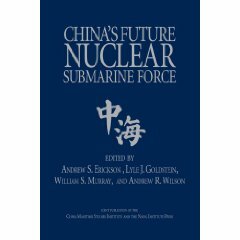 Consistent with this goal, observers believe that China wants its military to be capable of acting as a so-called anti-access force—a force that can deter U.S. intervention in a conflict involving Taiwan, or failing that, delay the arrival or reduce the effectiveness of intervening U.S. naval and air forces. 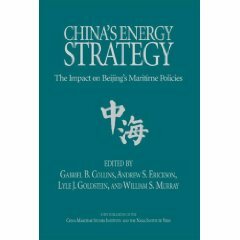 DOD and other observers believe that China’s military modernization effort, including its naval modernization effort, is increasingly oriented toward pursuing additional goals, such as asserting or defending China’s claims in maritime territorial disputes, protecting China’s sea lines of communications, displacing U.S. influence in the Pacific, and asserting China’s status as a major world power.